I refer to your report on 9 December, ‘Tourism boost can aid struggling traditional fishermen’, to thank the team of postgraduate students from the Durrell Institute of Conservation and Ecology (DICE) for their work, which highlights the importance of the traditional fishing sector in Malta. I am writing to confirm the dire state in which small scale fishermen find themselves today. Unfortunately the situation has deteriorated over the past 10 years. The artisanal fishery is sinking under the weight of industrial trawlers and purse seiners and a biased PR strategy. The management of the 25 mile conservation zone is a flagrant antithesis of “conservation”. 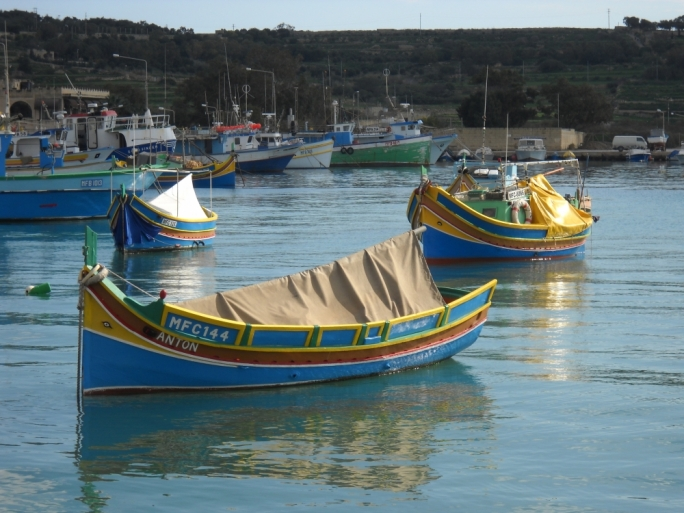 While Malta was obliged to maintain the “fishing effort” prevailing prior to EU accession, it acted in a different manner. Neither trawling within the zone, nor the accommodation of licence transfers from small boats to industrial vessels should have been allowed, as both increased the “fishing effort” exponentially. The EU fleet register shows that various trawlers, up to 24 metres in length, have derated their engine power to below 250hp, so that they can fish within the conservation zone. I wonder how one could equate the logic behind the prohibition of the traditional 12 metre luzzu from fishing within the conservation zone, while at the same time authorising industrial 24 metre trawlers and purse seiners to fish within the “protected zone”! Another factor contributing to the devastation of fish stocks is the unregulated extensive use of trammel nets by the bigger traditional boats. The smaller artisanal boats, which depend much on this type of fishing, usually carry 10 to 12 pieces of nets but there are now the bigger boats carrying 50 to 70 pieces of nets and working round the clock, thanks to imported cheap labour. Under this regime the fish stocks are vanishing fast. This is manifested in the fact that many artisanal fishermen are not meeting the landings benchmarks set by the Department of Fisheries. Yet it seems that the Fisheries Control Directorate is keener on harassing the small traditional fishermen rather than doing the right job where it really matters. Towards the end of October the department issued letters to some 300 fishermen threatening them with withdrawing their fishing licence if they fail to reach the landings by 31 December, 2015! Hence we have to put up with a directorate which with one hand concocts a recipe to destroy the local fish stocks and with the other hand chops off the head of those artisanal fishermen who cannot make ends meet. This means that come 1 January, 2016 many fishermen will wake up without a job! Unless the Fisheries Department sets the “fishing effort” to the pre-EU accession level, as contemplated in the general Common Fisheries Policy objectives, and unless it scraps these fascist rules, there is no future, neither for traditional fishermen nor for the fish that supported the local community since time immemorial. It is indeed sad that a country with few natural resources and which relies heavily on tourism is not making a concrete effort to sustain and preserve what is left of the artisanal fishing community and all that it represents. Unless we act now it will not be long before the traditional luzzu will stop gracing our seas and the promotional brochures of the Malta Tourism Authority. I much fear that local authorities have up till now failed to acknowledge the need to preserve what constitutes an important feature of authentic Maltese identity. This is what attracts tourists to our shores, and not short-lived investments that satisfy a handful of greedy opportunists. With reference to the letter of 6 December, “Routes being stopped”, Transport Malta is rolling out a new route network, the first batch of which were introduced on 22 November. The remaining routes will be introduced on 20 December. The new routes were planned following a period of consultation where more than 3,500 proposals were submitted. The routes mentioned will be more than adequately substituted by route 46 and route 260. Route 46 will operate between Gharghur, Naxxar, Mosta, Birkirkara, Msida and Valletta. During morning peak hours, a bus will operate every 20 minutes on this route. The frequency will change to a bus every 30 minutes after half nine in the morning and to a bus every hour after nine in the evening. Route 260 will operate between Mater Dei Hospital, University, Gharghur, Naxxar and Mosta.